For some artists the appeal of Eurovision just never fades. Each year we get a number of acts who have previously competed at the competition and who want another go at climbing to the top of the leaderboard. 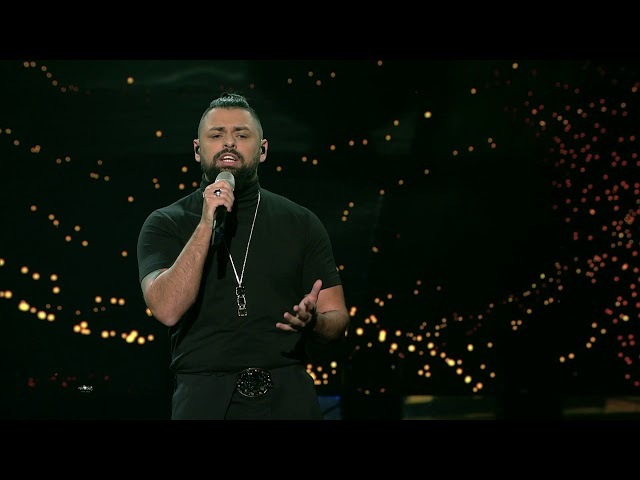 This year, five singers have decided to return to the contest: Russia’s Sergey Lazarev, Hungary’s Joci Pápai, North Macedonia’s Tamara Todevska, Serbia’s Nevena Božović, and Serhat, the Turkish singer who returns to sing for San Marino. Now we want to know which is your favourite Eurovision 2019 entry by a returning artist. But, we also want to know who you think has risen above the heights of their previous appearance. Who’s had a serious glow-up, and who won’t be able to top their previous placing on the scoreboard? Below you’ll find a series of polls asking which Eurovision entry by an individual returning act you prefer. Then once you’ve decided on those, you can vote in the final poll of which Eurovision 2019 entry by a returning artist you prefer. As always, you can only vote once in each poll — so make it count! In 2017 he brought Hungary to the top 10 with “Origo” (“Origin”). And now Joci will be aiming to take his country even higher up the scoreboard with “Az én apám” (“My Father”). Are you loving the more subtle approach that the singer is taking in 2019, or do you miss the fiery nature of his original performance in Kyiv? Back in 2008, Tamara teamed up with Rade Vrchakovski and Adrian Gaxha to compete with “Let Me Love You”, where they finished tenth in the semi-final. Nowadays, that would see them qualify to the grand-final. However the rules of the contest that year meant only the top nine in the televoting made it through, with the tenth spot being decided by the juries. In the end, the juries chose twelfth place finisher Charlotte Perrelli from Sweden over the North Macedonian trio. Now Tamara is back as a solo artist and will be eager to make it to Saturday’s show with her entry “Proud”. But, are you only giving her love for her first attempt, or are you proud to see her back in the contest once again? In 2016 he won the televote and came third overall with “You Are The Only One”. Now, three years later, Sergey is back to try and take the crown. This time he’s gone is a different direction, with the dark and dramatic ballad “Scream”. But which do you prefer? Are you screaming for joy at his latest Eurovision song, or should his previous entry have remained his only one? 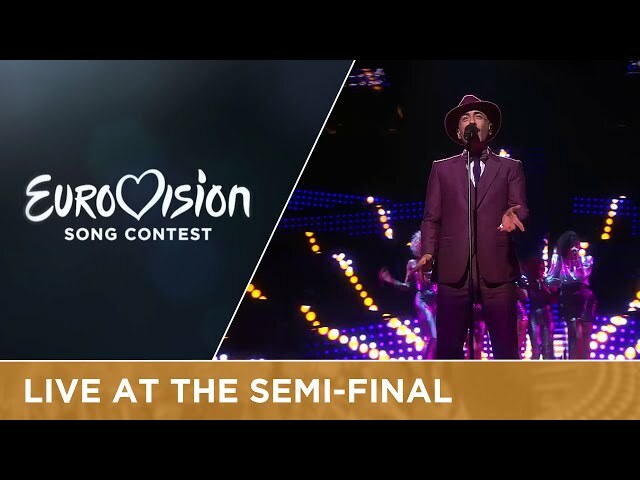 Another Eurovision 2016 alumni returning for a second attempt is Serhat. 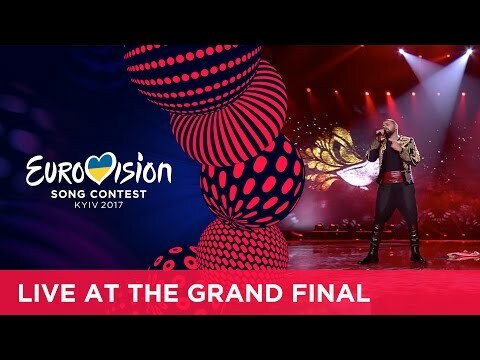 He’ll be hoping to qualify to the grand-final this time with “Say Na Na Na”, after he missed out in Stockholm when performing “I Didn’t Know”. Will you be saying na na na along with the Turkish singer in May, or do you still not know why he thought anything could top the masterpiece of his previous entry? She placed third in Junior Eurovision 2007 with “Piši mi”. Then at Eurovision 2013 she was torn between the angel and the devil as part of Moje 3, singing “Ljubav je svuda” (“Love is everywhere”). Now Nevena is returning to the contest as a solo artist, where she’ll be performing “Kruna” (“Crown”). Do you think she will be taking home the crown this time around, or is your love still everywhere for her previous group entry? 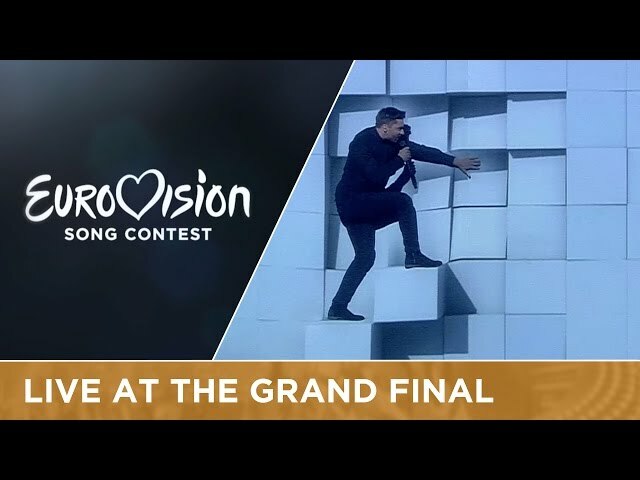 Poll: Which is your favourite Eurovision 2019 entry by a returning artist? And finally, from past to present. 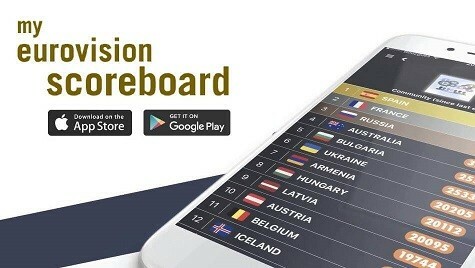 Which Eurovision 2019 song by a returning artist is your favourite? So, who did you vote for? Do you think any of these returning artists can improve upon their previous placing? Let us know in the comments below! Favourite song from a returning artist? I think Serhat has done a good job comparing to 2016. I also like Tamara better than the first time. Serhat stole my little heart. Tamara will be dressed by the guy who was responsible for the 2000, 2002 and 2004 outfits…. Oh hell, my eyes are already hurting…. Serhat can go to the final, the others i don’t need to see there…. I prefer Sergey and Serhat. Sergey – pretentious, Serhat – unpretentious, but both of them good in his way. Funny but Serhat is the only one that significantly improved. BALKAN ladies are more or less at the same level with their previous attempts. Eastern gentlemen got worse. 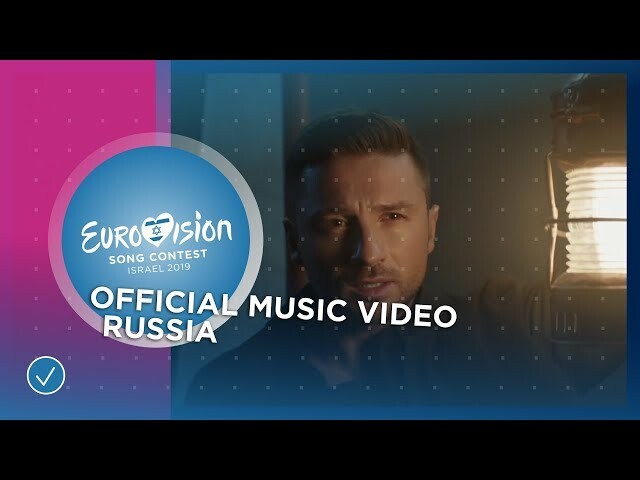 Sergey and Nevena are my favorite entries here, I prefer “Scream” than “you are the only one”, much better entries this year for both. Joci is great, but unfortunately “Origo” was miles better than this year entry. My favorite of these artists is Joci, but I think he’s the only one of them that has a weaker song on his return (I like “Az én apám”, but I love “Origo”). So yes, I’m on the minority who prefers “Scream” to “You Are the Only One”. I believe Sergey and Nevena have the best songs in this group and I casted a vote for her. After all, it’s a big improvement to go from a doll that became a real life girl to an actual grown up (blue blooded) woman. From all the returning this year: only king Joci. Go on now, tell them. Well, you cannot improve the perfection, can you? But Serhat actually has got better, so my compliments go to him foremost in this poll. People can say whatever they want now but the moment of truth will come when the first rehearsals start. Why are so many people praising Serhat and his song? Is it because they remember him from 2016 and/or they like his personality? His song sounds dated and his voice, which is an acquired taste, really grates on me. It would be a shame if he qualified purely due to the fact that he’s in the weaker semi. 1. Serhat himself is an extremely likable guy, already familiar from 2016. 2. The song is very cute and unpretentious. Especially in a year full of dark, experimental and atmospheric stuff, it puts a smile on one’s face. 4. 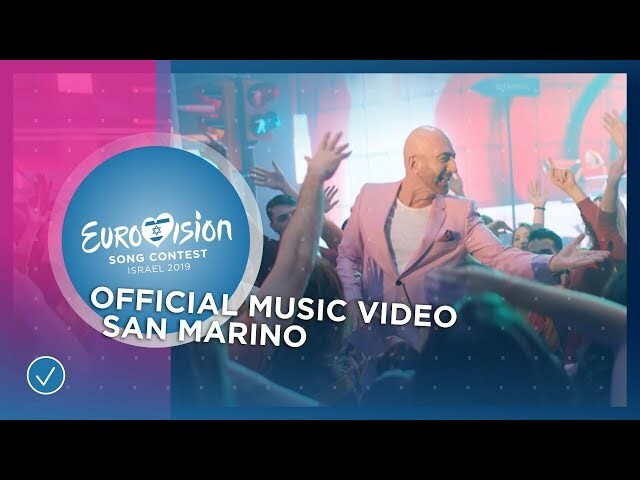 People want San Marino to qualify because they are a small country with big spirit for ESC. While I agree with you on most of the points regarding San Marino but I don’t see any spirit for ESC from the country. They keep sending singers from other countries. That is not the spirit of ESC. It’s about representing the country. Also semi 2 is the stronger one – Netherlands, Sweden, Switzerland, Malta. I really want Ireland, and N. Macedonia to make it through. His song is not only dated, it is so extremely dated that it becomes a meme in and of itself. And he can’t sing at all. That’s why the whole thing is absolutely fantastic. In a contest filled with tryhard mediocrity, he unashamedly goes back a few decades and brings a lot of fun. Those qualities shouldn’t be what helps a song. Well, it’s easy to prefer it to others sweating very hard to deliver mediocre vocals in mediocre songs, trying way too hard to be taken seriously. Let me love you deserced better in 2008 and deserves better now. It’s much better than this year’s song. The true joy is just imagining the Sergey stans freaking out over Serhat being so close in the votes. Just a few more votes folks! Sergey’s song this year is one major disappointment. I agree. I cant remember one single note of that song after i listened to it. Only staging can safe this song but in order to win you need a strong song. Scream is just average at best. Say Na Na Na. Serhat slays! I’m all in for dramatic orchestration. So Sergey for me. Tamara Todevska also has a song with dramatic orchestra, why did you mention only Sergey? I just wanted to write my favourite instead of a detailed list. But she would be high on it too. Yes. I really want San Marino to at least qualify this year! Well, I don’t wanna say the obvious, so I’ll just say na na na. Very even split between opinions I agree and disagree with. The sad thing is that it’s mostly washed-up never-has-beens who are returning. When is it ever the Patricia Kaas-es who go for another round? Carola did not have an unsuccessful participation in 2006. She didn’t win, sure, be she qualified and got a respectable place in the final. I have no problem with returning singers – if songwriters can have multiple entries in the one year, then singers can try multiple times too. At Sanremo and Melodifestivalen, it’s very common. Hang on, Carola had a successful return in 1991 having also competed in 1983. And don’t forget that Valentina Monetta’s 1st 3 appperances, she always gave San Marino their best placements at the time! I voted for Serhat. That song is pretty good and it puts a smile upon my face. Oh boy, was I hoping for Tamara. But actually, neither of those are anywhere near my favorites. I choose Joci because his song has the most pleasant melody out of this dire bunch for me. Newcomers and under 25s to the rescue! Serhat and tamara second. I hope he qualifies..
Joci – Both songs are solid, but neither is something I would normally listen to. It’s a tie for me. Tamara – I am still on the edge with Proud, but it certainly is better than the weak effort from 2008. Sergey – Both and good and believe it or not, I prefer Scream. Sue me, I like dramatic ballads. Nevena – No comparison, 2013 song was rubbish, Kruna is quite good. Serhat – Both are funny and laid-back, but Say Na Na Na is a better composition. How dare you 😛 2008 Tamara ruled! What I will say: They changed the melody to fit the English version. You don’t do that. The lyrics have to fit the melody, not vice-versa. You are NOT the only one. To be fair I didn’t really care for his 2016 entry, too little about the music, too much about the show. But hey, tastes differ! I am one of the few who prefers neither. I actually like Serhat’s song… and where the hell did he find the money to record that video!? OMG our meme King Serhat haha. Hopefully he will collaborate next year with Valentina. So, Sergey’s got almost everyone agreeing his first entry was better than his second – and yet he’s leading the poll for best return entry. You already know who I voted for. Because it’s true.